There’s a lot of advice out there about how to make your most relevant skills and work experience stand out when writing a resume, but what can you do if you don’t have much work experience to speak of? Many new grads run into this problem when they begin their job search because they find themselves in a situation where they need experience to get a job, but need a job to gain experience. The good news is that even without formal work experience, it is possible to create a professional-looking resume that highlights your strengths and abilities. 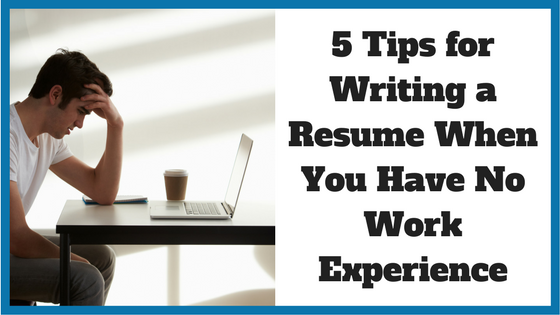 So, if you’re currently in this situation, here are five things to keep in mind when writing your resume. Even if you have no formal work experience, you likely have other experience that’s relevant to the position you’re applying for, whether it’s a summer fundraiser you helped to organize or an internship you did while you were still studying. Career coach and business consultant Deb Hornell points out that what employers really want to know is what differentiates you from other candidates and you don’t necessarily need work experience to convey this. If you don’t have much work experience, instead of writing about your different job roles, you can include a list of transferable skills that make you a good fit for the job. The key here is to make sure you provide specific examples and quantify your achievements whenever possible. So although it’s fine to use a few keywords like “creative” or “detail-oriented,” you also need to include some substance. For instance, if a research project you completed together with other students has taught you more about working with others, make sure to explain this rather than just saying you’re a “team player.” If you raised a certain amount of money for a charity, oversaw a group of volunteers or optimized a client’s website during an internship, be sure to include numbers and specifics. If you want your resume to stand out, look for ways to inject some personality. For example, you can include some of your personal interests or hobbies such as photography, travel or working with animals, particularly if they’re somehow related to the job you’re applying for. Including information about your passions and hobbies can also help you demonstrate soft skills like creativity or team work. Just be careful not to include anything too personal and avoid topics that could be considered controversial such as religion or political views. There are a few different types of resume formats including chronological, functional and combination resumes. Generally, if you’re a recent graduate with minimal work experience, a functional resume will be more effective because it allows you to focus on your skills, education and accomplishments rather than your work history. Of course, this isn’t a hard and fast rule, so feel free to use whatever format and layout best highlights your qualifications and talents. Whatever format you use, though, make sure all the essential information, such as your name, address and phone number, appears at the top of your resume. If you don’t have much work experience, it’s usually best to keep your resume as brief and concise as possible. Ideally your first resume should be just one page that’s packed with relevant information. Research shows that it takes recruiters just six seconds to scan a resume the first time around, so by keeping yours short and sweet, you’ll be making it a lot easier for potential employers to take in all the relevant information. Finally, remember that everyone starts their career with little or no experience and employers understand this too. So don’t worry too much about your lack of experience and instead focus on all the other reasons you’d be a perfect fit for the job. 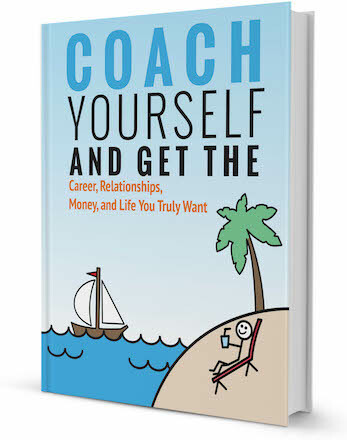 Thinking of hiring a career coach to help you get a job after college? Browse our directory of career coaches and get a FREE consultation or request a personalized coach recommendation!